This book is a fairly well-written chapter book that features a ten-year-old named Lily who faces numerous challenges one summer. Lily is the middle child. 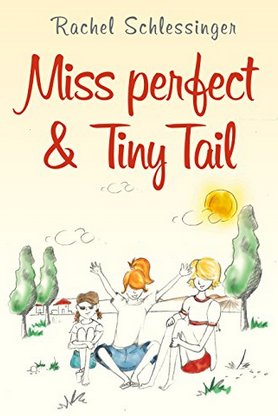 Her older sister, Miss Perfect, and a younger sister, Tiny Tail are both dearly loved and constant annoyances. A large part of the book focuses on sibling and peer relationships as well as Lily’s conflicts with her mother. Lily’s mother informs the three sisters that they will be moving from their small village to the big city because their father has found work there. This is the second conflict that Lily, as well as her sisters, must face and resolve. Lily has developed a crush on Tommy. At first, he seems to ignore and make fun of her. The summer setting provides the backdrop for these three challenges. As time advances, each member of the family must face the issues revealed in the first person narrative told by Lily. Many middle-grade readers will see themselves mirrored in the characters and their conflicts. Because this book consists of short chapters consisting of less than seventy pages, reluctant readers will not be deterred. A few illustrations enhance its appeal. Recommended for middle-grade readers, teachers and parents who wish to explore the challenges faced by the middle child, parent and sibling relationships, and families who are planning a move.